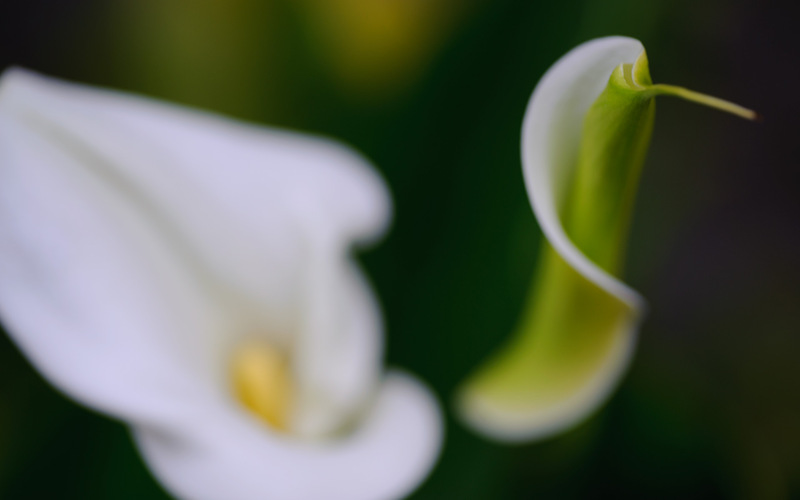 Lately, I've really been enjoying the Voigtländer 125mm f/2.5's ultra-thin depth of field in a macro setting to “creamify” flowers and such, leaving only very specific areas in sharp focus, with the rest melting away into a creamy mix of softness. The Voiglander's bokeh is spectacular. I posted something along these lines the other day in “On The Road to Imabari”, and have several more examples from the last week that I'd like to post, but I'm afraid of overdoing it, so I'll parcel them out from time to time. The king of this style of photography is Daniel Sroka who does it right with good equipment in a controlled studio environment, good technique, a good eye, and lots of patience. His stuff is amazing. As for me, as I mentioned the other day in “An Amazing Day of Photography at Some Eastern-Kyoto Temples”, I snap a few pictures when I come across something that seems interesting, often using the carpet-bombing approach to shutter actuations to try to catch the right focus amidst the cacophony of movement due to wind and my own shaky posture. It was all the more crazy the other day when trying to get these lilys, because they're at the edge of a river. I was lying on the road trying to lean far enough over to get the angle I wanted, always just at the verge of falling (knowing that I was fully at the mercy of a light shove from anyone in the passing crowd). 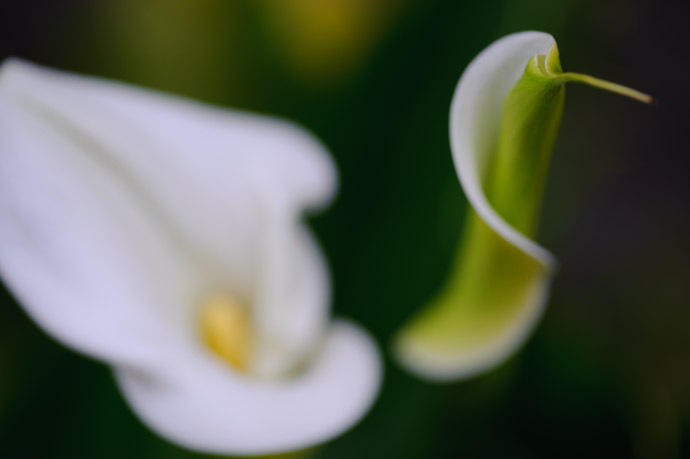 These lilys (zantedeschia aethiopica) are apparently perennial, because the same pair shows up each year... they've appeared on my blog before (here, here, and here), but the shot above is by far my favorite. 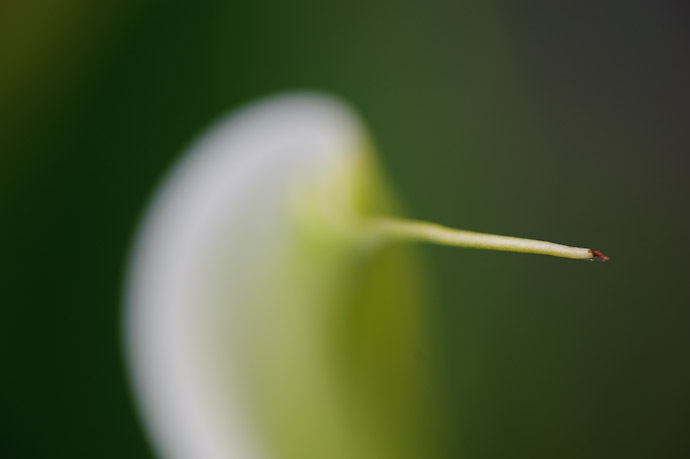 That’s some seriously shallow Dof! Lovely colours too! Nothing blurs quite like the CV 125, not even the Leica R 100 Elmarit Makro APO. I have been shooting it about 6 months longer than you (I was one of the first to welcome you to the ‘club’) and I just think that it is equally fantastic as a portrait/short tele. 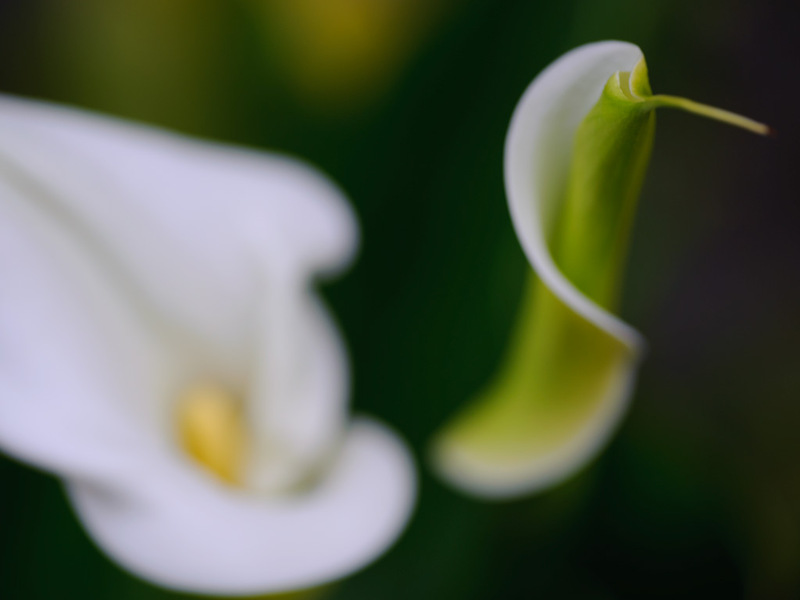 The color fidelity of an APO lens is just sublime. And that CV is about as perfect a lens as I have ever encountered; no real flaws or defecits. I even have grown to like the square hood; has an old-time cinematographer look. Good images Jeffrey. 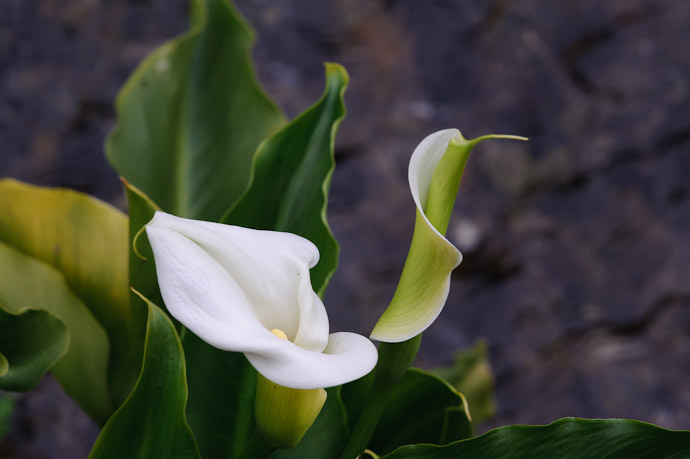 But I think the flower is not Lily of the Nile. Lily of the Nile, at least where I live, is the Agapanthus. Here is link: Agapanthus. 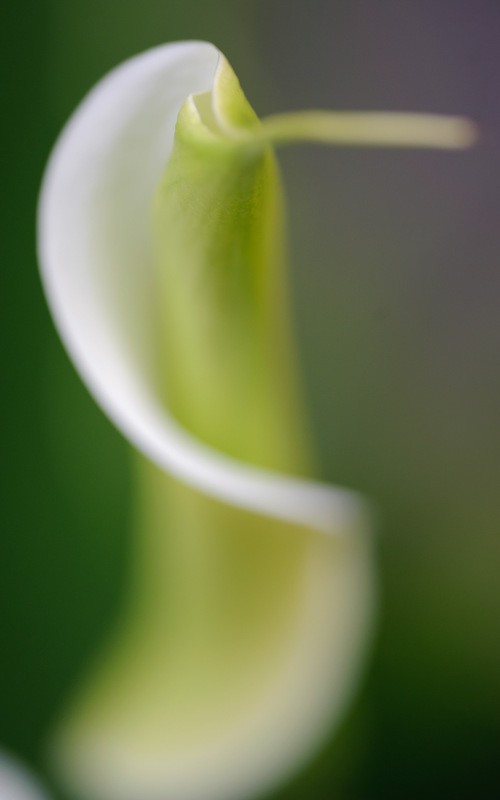 The image you have is most commonly called Calla Lilly. 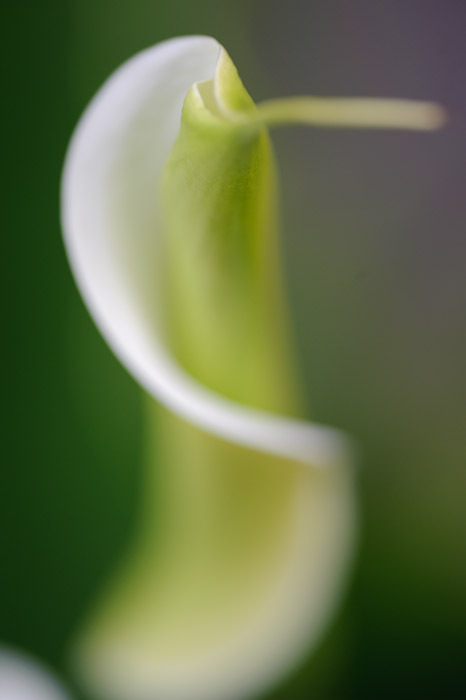 This is a website for this: Calla Lily. I agree with @Adreas, the PC-E tilt/shift is a wonderful lens for this type of shot.